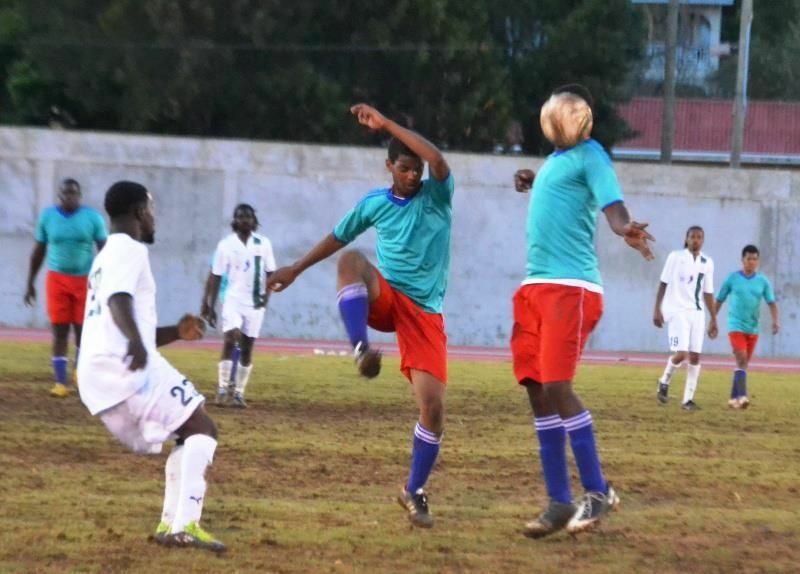 VALLEY, Virgin Gorda, VI- The youthful and energetic Ball Stars and One Love will be two of the top clubs in action this evening, Sunday October 13, 2013 when play in the Virgin Gorda Cup competition continues. Ball Stars will play Police Panthers in the feature game of the double header from 8:15 P.M. That game is billed as a matchup of youth against experience with Ball Stars, under coach Vincent 'Nabu' Samuels, looking to return to the helm of football in the Virgin Islands. Panthers, on the other hand, have brought in a couple of new players who they hope would be able to stop the skillful and attacking Ball Stars. That game is certainly set to be full of explosive football, especially from Ball Stars. The opening game will bring together One Love and East End from 6:15 P.M.
One Love is a team full of individual talents and if they can gel better this season they can be stronger contenders for champsionships. East End are considered a 'never say die' team that can stand up to any pressure. The 2013 Virgin Gorda Cup, sponsored by the Virgin Gorda Yacht Harbour, kicked off on Sunday October 6, 2013 with a triple header at the Virgin Gorda Recreation Ground. In game one, Wolues with a hat-trick from Declan Cassidy, defeated Old Madrid 4-1. The day’s second game saw Sugar Boyz race into an early 2-0 lead against the Rebels, thanks to goals from Derrol Redhead on 14 minutes and Michael Castillo on 18 minutes. Daniel Snubbs pulled one back for the rebels half way through the second half but 2-1 was how it finished. The last game featured Islanders against Haitian Stars and running out comfortable 3-0 winners with Valdo Anderson opening the score on 53 minutes, before Rohan “Chi Chi” Lenon doubled the advantage on 55 minutes and then the same player rounded things off with his second and the Islanders third on 63 minutes. is that the ball in the man face?